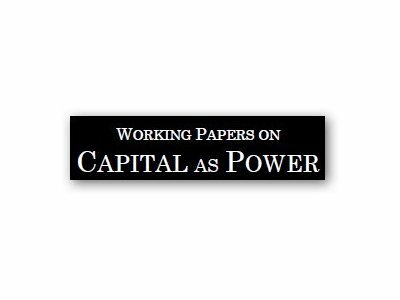 What do economists mean when they talk about ‘capital accumulation’? Surprisingly, the answer to this question is anything but clear, and it seems the most unclear in times of turmoil. Consider the recent ‘financial crisis’. The very term already attests to the presumed nature and causes of the crisis, which most observers indeed believe originated in the financial sector and was amplified by pervasive financialization. However, when theorists speak about a financial crisis, they don’t speak about it in isolation. They refer to finance not in and of itself, but in relation to the so-called real capital stock. The recent crisis, they argue, happened not because of finance as such, but due to a mismatch between financial and real capital. The world of finance, they complain, has deviated from and distorted the real world of accumulation. And since, according to Milton Friedman, there is no such thing as a free lunch, it is only fitting that, having indulged in this distortion, we must now pay the price for it in the form of a financial crisis. This ‘mismatch thesis’ – the notion of a reality distorted by finance – is broadly accepted. In 2009, The Economist of London accused its readers of confusing ‘financial assets with real ones’, singling out their confusion as the root cause of the brewing crisis. Real assets, or wealth, the magazine explained, consist of ‘goods and products we wish to consume’ or of ‘things that give us the ability to produce more of what we want to consume’. Financial assets, by contrast, are not wealth; they are simply ‘claims on real wealth’. To confuse the inflation of latter for the expansion of the former is the surest recipe for disaster. The division between real wealth and financial claims on real wealth is a fundamental premise of political economy. This premise is accepted not only by liberal theorists, analysts and policymakers, but also by Marxists of various persuasions. And as we shall show below, it is a premise built on very shaky foundations. 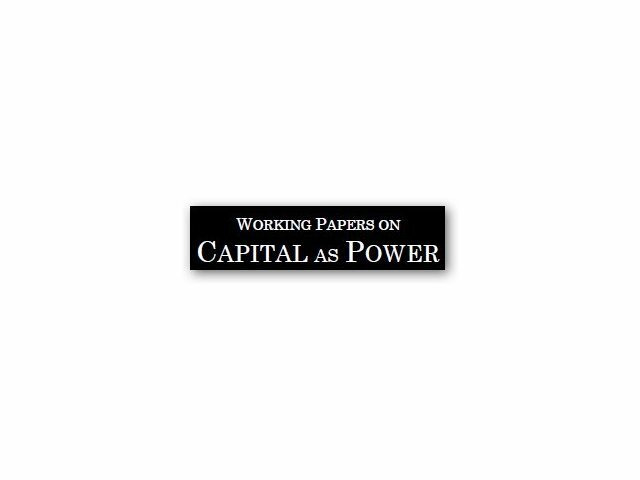 When liberals and Marxists say that there is a mismatch between financial and real capital, they are essentially making, explicitly or implicitly, three related claims: (1) that these are indeed separate entities; (2) that these entities should correspond to each other; and (3) that, in the actual world, they often do not. In what follows, we explain why these claims don’t hold water. To put it bluntly, neither liberals nor Marxists know how to compare real and financial capital, and the main reason is simple enough: they don’t know how to determine the magnitude of real capital to start with. The common, makeshift solution is to estimate this magnitude indirectly, by using the money price of capital goods – yet this doesn’t solve the problem either, since capital goods can have many prices and there is no way of knowing which of them, if any, is the ‘true’ one. Last but not least, even if we turn a blind eye and allow for these logical impossibilities and empirical travesties to stand, the result is still highly embarrassing. As it turns out, financial accumulation not only deviates from and distorts real accumulation, it also follows an opposite trajectory. For more than two centuries, economists left and right have argued that capitalism thrives on ‘real investment’ and the growth of ‘real capital’. But as we shall see, in reality, the best time for capitalists is when their ‘real accumulation’ tanks! . . . .